A Comparative Market Analysis, or CMA, is a thorough analysis that evaluates current market trends to determine your home’s value. Odds of Selling – Analyzing statistics including months’ supply of inventory, absorption rates, and where to position your home to be the best value in its category. Create a Positioning Strategy – Putting on a buyers’ hat, compare listings in direct competition with yours. Keep in mind that not all competition is comparable! 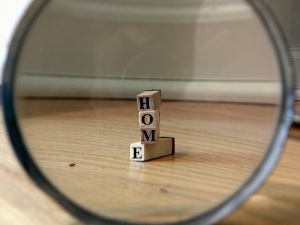 Identify Target Buyer Profiles – Who will be buying your home? A military family? A retired couple? Adjustments – Comparing your home to others by highlighting the best features and weighing the challenges. Will it Appraise? – Appraisers approach value much differently than buyers. Buyers are looking at current/active listings while appraisers focus on homes that have sold in the past 3-6 months. This is an important step, since this will affect how much a lender is willing to lend to the buyer. Condition Assessment – Determining property condition and how move-in ready it is. If needed, consider painting, repairs, or updating. Staging Consultation – Recent trends have suggested that staged homes sell faster and for money. Benchmarking Assessed Value – Comparing tax assessments for neighborhood appreciation or depreciation trends and ratios of sold prices to assessed value. Benchmarking Price per Square Foot – How does the price per square foot compare to other active listings? Forecasting – Continuing to study our dynamic market to stay updated with changes and how it affects current value.